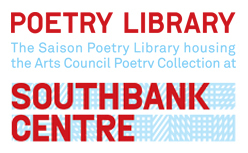 The Poetry Library contains the most comprehensive and accessible collection of poetry from 1912 in Britain and also stocks a representation of work from other countries. It is free to join and anyone can visit, borrow materials and attend events. It also offers an enquiry service, a digital library of poetry magazines, free eloans and audiobooks, and a website listing poetry events.